After reviewing approaches to crisis care across the United States, the Crisis Services Task Force of the National Action Alliance for Suicide Prevention (Action Alliance) believes now is the time for crisis care to change. After reviewing approaches to crisis care across the United States, the Crisis Services Task Force of the National Action Alliance for Suicide Prevention (Action Alliance) believes now is the time for crisis care to change. The Task Force, established to advance objective 8.2 of the National Strategy for Suicide Prevention (NSSP), comprises many experts, including leaders who have built and operate many of the most acclaimed crisis programs in the nation. These elements are discussed in more detail in the report (download here). Effective crisis care that saves lives and dollars requires a systemic approach, and these key elements must be in place. The report also reviews proven key components of good crisis care and demonstrates that piecemeal solutions are unacceptable. These programs use technology for real-time coordination across a system of care and leverage big data for performance improvement and accountability across systems. At the same time, they provide high-touch support to individuals and families in crisis. Mobile crisis offers outreach and support where people in crisis are. 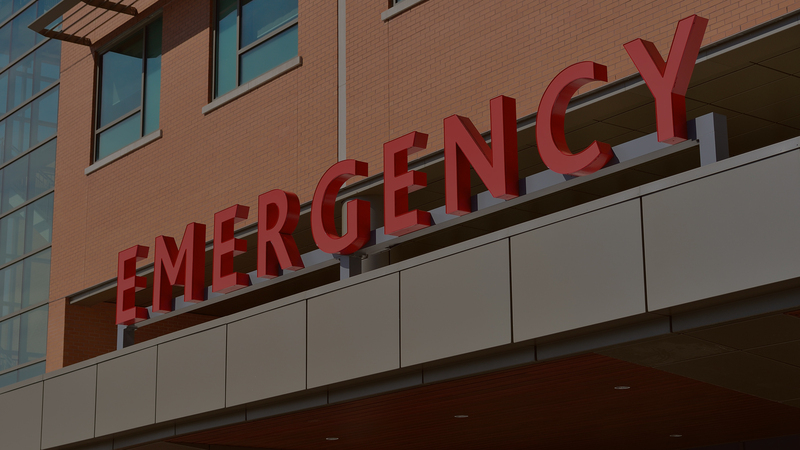 Programs should include contractually required response times and medical backup. 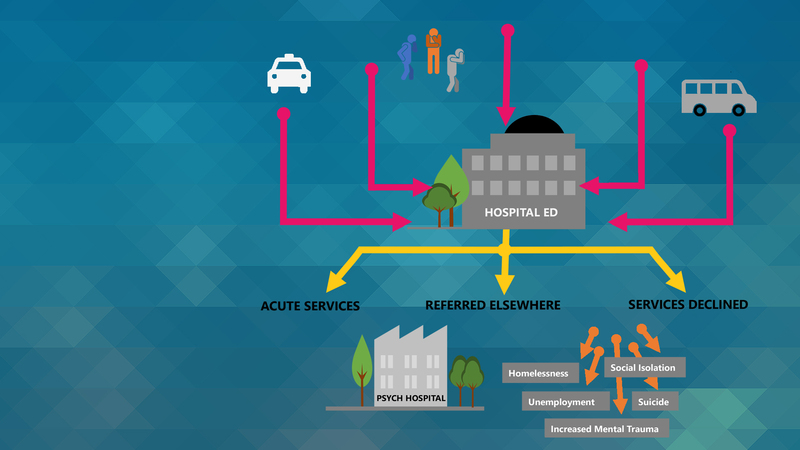 These programs offer short-term “sub-acute” care for individuals who need support and observation, but not ED holds or medical inpatient stay, at lower costs and without the overhead of hospital-based acute care. 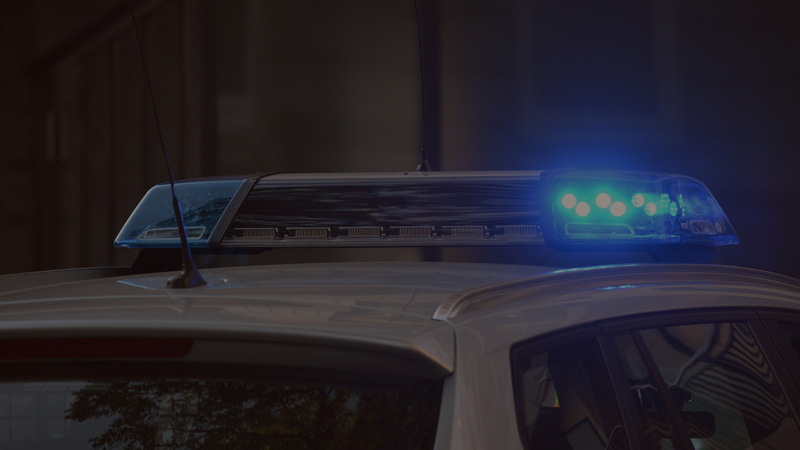 These must include a recovery orientation, trauma-informed care, significant use of peer staff, a commitment to Zero Suicide/Suicide Safer Care, strong commitments to safety for consumers and staff, and collaboration with law enforcement. 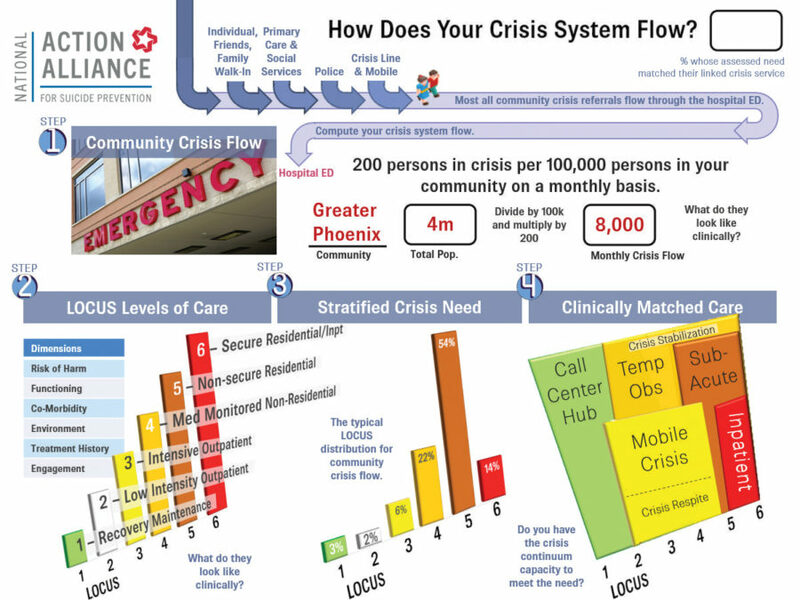 Crisis Now saves time and operating costs by improving access to care. 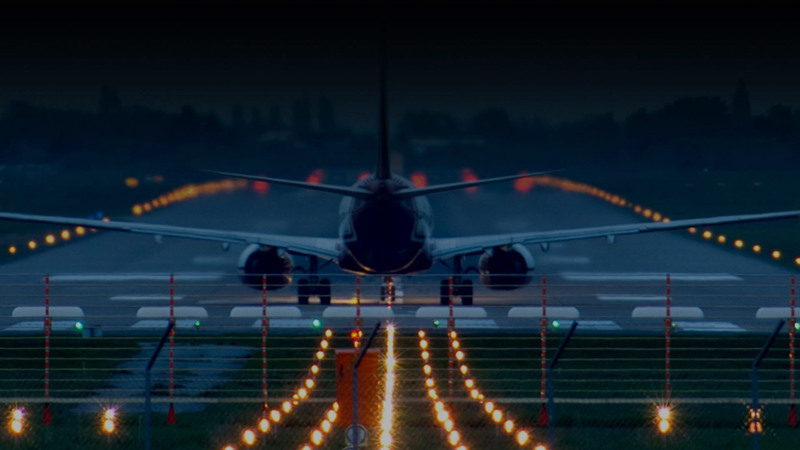 The assessment and programmatic scoring guide. 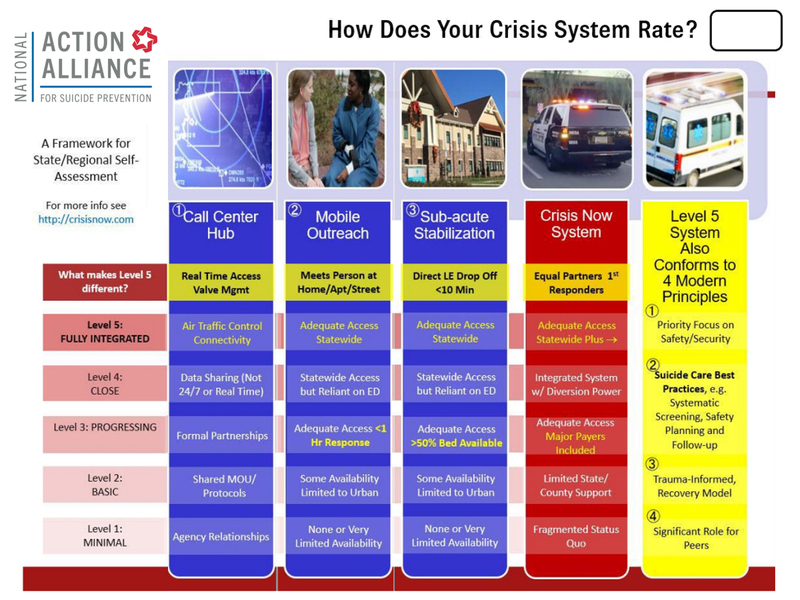 How Does Your Crisis System Flow? The volume estimation and clinical distribution guide. Good crisis care reduces and prevents suicides while providing more immediate and targeted help for the person in distress. 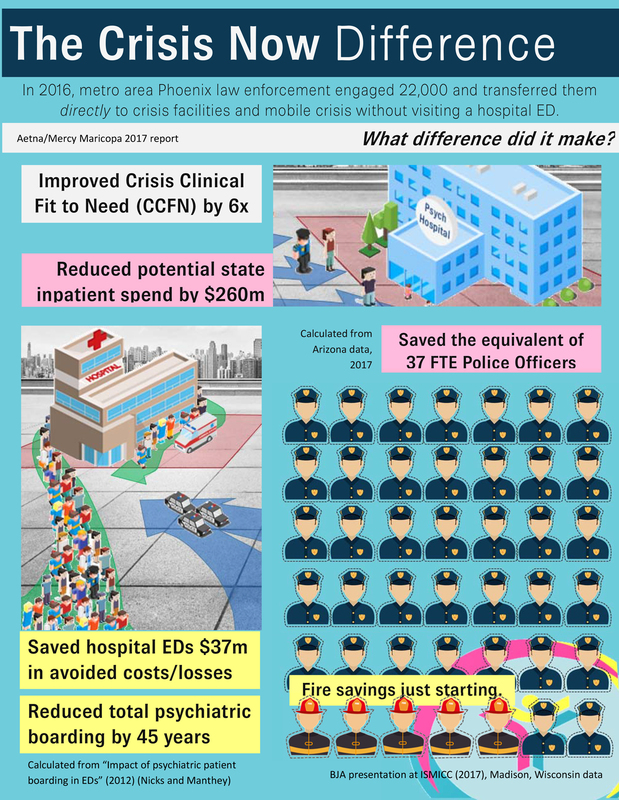 In addition, it cuts cost of care substantially by reducing the need for psychiatric hospital bed usage, emergency department visits, and law enforcement overuse. In general, mental health crisis care in the U.S. is inconsistent and inadequate. Members of the Crisis Services Task Force of the National Action Alliance for Suicide Prevention (Action Alliance) created the Crisis Now concept and authored the Crisis Now paper; identifying the exceptional practices desired in a crisis services. Responses to questions will be answered by representatives of agencies involved in the creation of the Crisis Now Report.